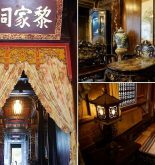 Quan Thang Ancient House is one of the nicest houses in Hoi An with lifespan of over 150 years. 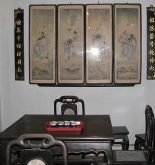 The house is characterized of architecture style from Huaxia Chinese region. Over the years, the house has been preserved intact on the architectural design and interiors. 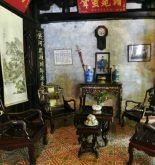 It helps us visualize the lifestyle part of the generation owners, the merchant people lived in Hoi An during the 18-19th century. In particular, the entire architecture and sculptures are vivid and exquisite made by Kim Bong carpentry village artisans. Quan Thang house is stated as one of the most attractive touristic place for both domestic and foreign visitors. Coming to this house, you will have little sense of admiration for harmonious beauty of China and Vietnam.